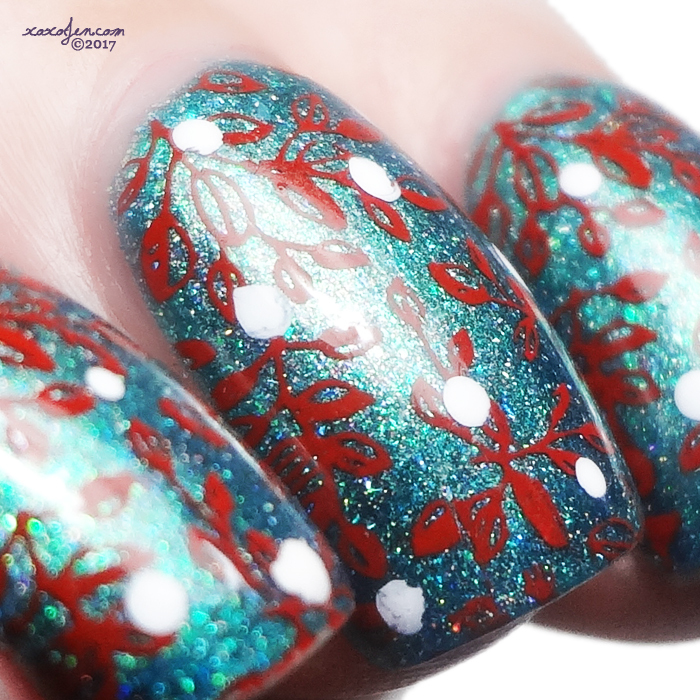 I decided to stamp over Salty Anon to create a festive holiday look. The red stamping polish is Foana from EDK, and I used a design from the Uber Chic Lovely Leaves plate. After stamping, I added dots of snow with a dotting tool and Funky Fingers Gesso. I hope your holidays are Merry and Bright! Let me know in the comments what you'll be wearing on your nails this season!